Nighty Night from Fox and Sheep is one of the most popular go to sleep / bedtime apps for kids, and it’s easy to see why. Beautifully presented in 2D animation and illustration, the app makes that go to sleep ritual fun and something to look forward to. This kids app is really an interactive book, with emphasis on the animation and illustration than words. There is either a house or barn with lighted rooms, and kids just tap the room to turn the light off so the animals will go to sleep. Nighty Night doesn’t have a lot of written dialogue, as most of it is spoken. This is not surprising given this is not a reading app. What the app has are lessons that show and explain cause and effect for preschoolers and toddlers. The graphics and animation are first rate, not surprising given it’s designed by acclaimed artist Heidi Wittlinger. The music is also perfect and suitable for sleeping. The music and sound go very well with its lighting effects. Another cool thing about Nighty Night is your kid can play with the animals for as long as they want. When they’re ready to go to sleep, just tap the light and it’s sleep time. Once the light has been turned off, your kid cannot turn it back on. They can tap it again but the animal will just stir but remain asleep. The lesson therefore, is that lights out means sleep. 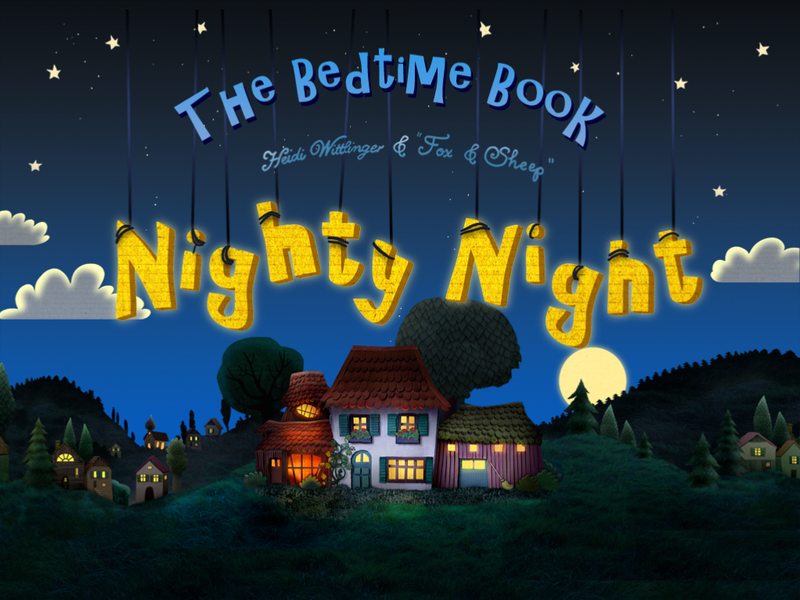 Nighty Night for Android is free, but the iTunes version is a paid app.